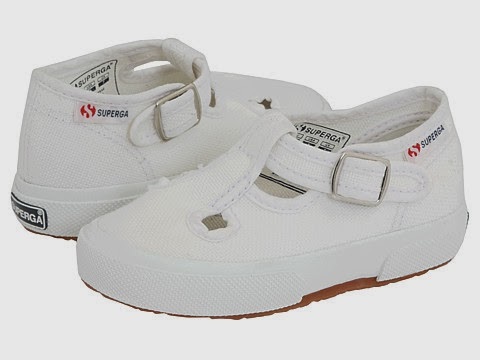 At 6pm, these great little Superga Kids buckle sneakers (style 205 COTJ) are 67% off right now at just $17.99 (normally $55). True, they are white, but I would bet that they do just fine in the washer followed by air-drying. They would look great with skirts and dresses as well as shorts and pants! And, if you were really crafty, I bet you could dye them any color you wanted with good-quality fabric dye. They are available in sizes 24-34 and 6pm seems to have plenty of each size in stock at the moment. Oh, and if this deal weren't good enough already, 6pm always offers free shipping on every order. Find all of the Superga Kids offerings at 6pm here (many are at least 40% off).